Description: Kuro Zetsu is the third weapon in a series that Riku has had created for himself, or rather, the third form, as the weapon evolves. As with the first two forms, Kuro Zetsu consists of a black steel plate attached to the back of the neck where the neck and spine meet. From the plate, a long metal tail consisting of blades with a sharpened point. usually hangs down. This form is much more powerful. Rather than having one tail, Kuro Zetsu has 8. Each of them are 10 feet long and can retract into the plate, making them completely concealable. As with the previous two forms, the tails are controlled with Riku's chakra. Description: Kurushi mi is a metal gauntlet that covers the wearer's fingers, hand, wrist, and about 3 inches up the forearm. The fingers are claws that are 6 inches long and can slice or pierce like a katana. The area around the forearm is about 3 inches thick. at the wrist area under the palm of the hand are 3 holes pointing forwards (the direction of the fingers.) Inside these three holes are spiked chains that are 15 feet long each with Kunai attached to the ends. 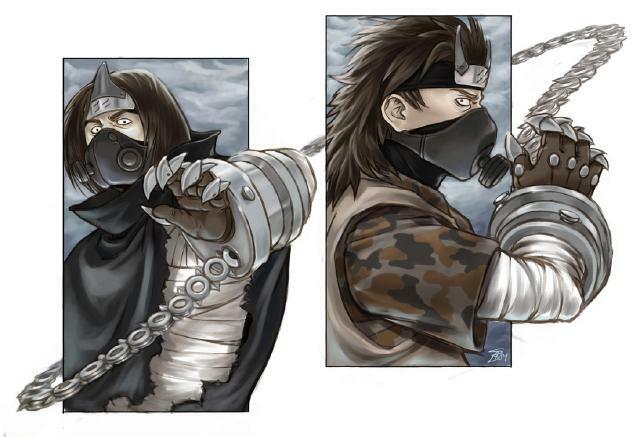 When a slight amount of chakra is pumped into them, chains shoot out. They can either be shot out and used to stab a foe that way, or be controlled by the user once they have been released. 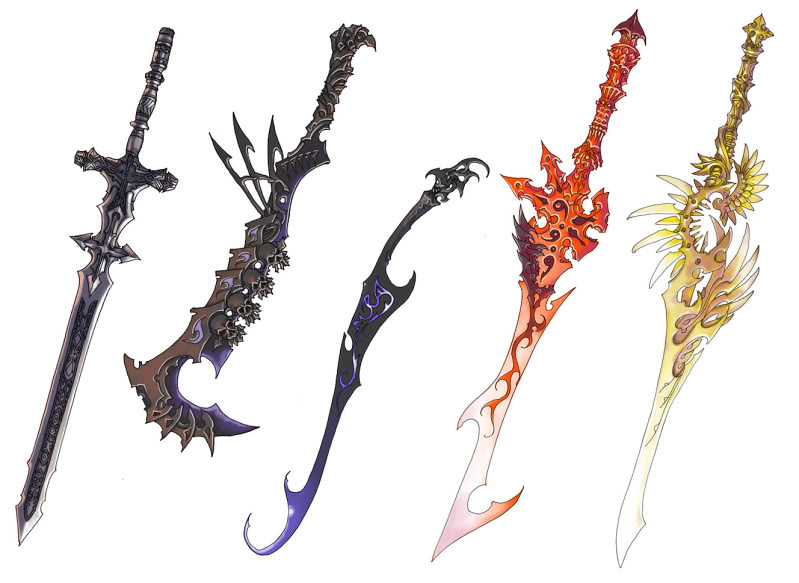 Just like with Kuro Zetsu, Riku has forged this weapon to allow the chains to be controlled with his chakra. Picture of Equipment: The weapon looks like this, but the claws are longer, it's less bulky, there's only one, and there are three chains rather than one. Description: Kanashimaseru is not a single weapon but actually a pair of identical weapons. They are a pair of grieves that cover the wearer's feet, shins, and up to their knees. They are made of the same black steel KuroZetsu was formed from. At the heel, they have a vertical blade that goes up to about mid-shin, allowing for slicing attacks during kicks with the heel. At the tip of the toe Is another blade about 2 inches long that comes to a point. This allows for slashing or stabbing with forward kicks. Description: Mizu Kokyuu a mask made for breathing. It looks like a gas mask that covers only the user's nose, mouth, chin, and cheeks. It is a black color. 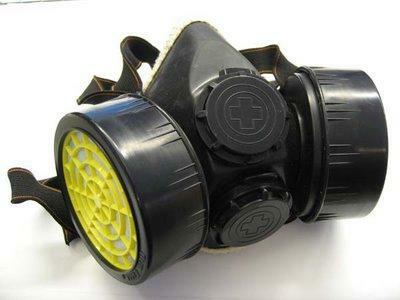 It allows the user to breathe underwater or in areas where gases or other things might make it hard to breath. Description: Shikisha is a unique sword. The blade is about 5 and a half feet long. In the hand guard between the handle and blade, there is a small battery with coils running up inside the blade. The user will pump a slight amount of chakra into the handle and it will charge the battle, sending an electrical current up the coils. This current causes electricity to "dance" around the blade in a purple-ish blue color. This electricity can be used in one of three ways. 1: To shock a nearby source of water. 2: To cause extra damage when striking an opponent as well as having a chance to paralyze for 1 post. 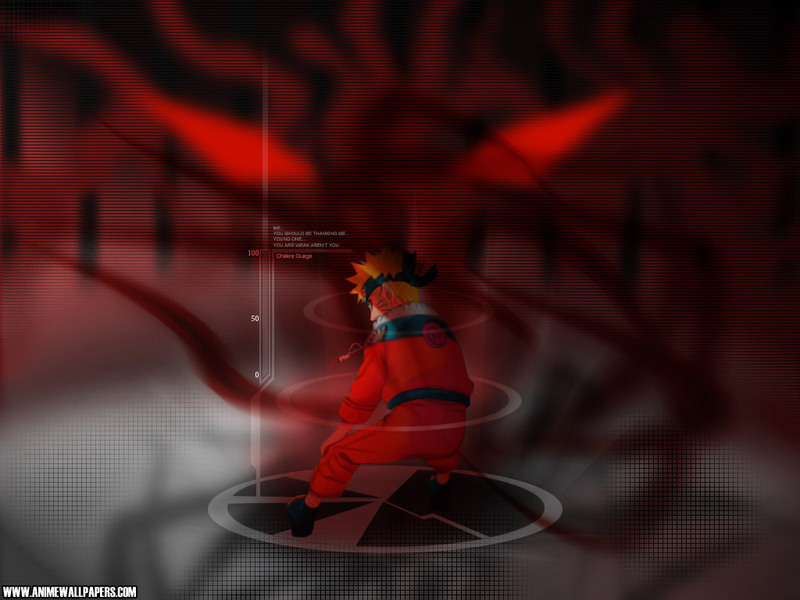 3: Using more chakra, the user can send out waves of electricity. Description: If there is a water source around, the sword can be used to control water to an extent. When the user swings the sword, an amount of water will rise up and follow the movements of the blade up to 10 feet away. This water can be used to slash foes from a slight distance or push them back or even create a defense against projectiles or other jutsu. This water can also be turned into ice. Description: Hageshii Kaze is the sword of the wind. When wind chakra is charged into the sword, wind spirals around the blade, increasing its cutting power. It can slice through flesh easier, cut through weapons one rank lower than itself, and moves faster than a regular sword, making it harder to dodge or block. With a bit more chakra pumped in, the user can send slashes of wind through the air at their foe.